Included below are homes for sale in Mira Mesa. If you would like more information on any of these Mira Mesa real estate listings, just click the "Request More Information" button when viewing the details of that property. We can provide you with disclosures, past sales history, dates and prices of homes recently sold nearby, and more. And, if you haven't already, be sure to register for a free account so that you can receive email alerts whenever new Mira Mesa houses come on the market. When searching for Mira Mesa homes for sale you will find it's located on the north end of San Diego County along Mira Mesa Blvd. There are a few areas in the city of San Diego as diverse as Mira Mesa, and the number of amenities all within one mile of Mira Mesa gives it an A+ for convenience. Diversity is one of the main reasons why Mira Mesa, San Diego is a great place to live. One of the perks to the diversity of the area, Mira Mesa offers one of the most eclectic mixes of various ethnic food stores and restaurants. For those seeking diversity, Mira Mesa is hard to beat. On the west end, Mira Mesa Blvd leads right into Sorrento Valley, a booming tech hub. There you will find plenty of high paying jobs in the tech industry. Many who live in Mira Mesa work in Sorrento Valley, Carmel Valley, and Rancho Bernardo. They enjoy a high salary outside of Mira Mesa and a low cost of living in Mira Mesa. Like rent prices all over San Diego, Mira Mesa is seeing a surge in costs for renters leaving many to wonder if buying a home wouldn't be cheaper. Today the average rent price even in Mira Mesa for a two bedroom, two bath home is over $1,500 a month. There are plenty of condos in the area, some older and more run down than others. Homes are located in small enclaves situated largely between Camino Ruiz and Black Mountain Road where you can find both high end properties as well as single family homes in the low $300Ks. Compared to the rest of San Diego, Mira Mesa home prices are more affordable than San Diego overall where the median home price is more than $150K higher than in Mira Mesa. Area Vibes gave this part of San Diego County an A for housing. Perhaps because residents in Mira Mesa save so much on housing costs and daily living, their median income is nearly 30% greater than San Diego overall and nearly 35% greater than the State-wide average. Broken down individually, men make 30% more money than women in Mira Mesa, and per capita individuals make nearly 10% less than the average San Diegan and less than 1% more than Californians as a whole. If may be due to the number of multi-family households that make up this diverse community. When more than one adult is present, as is true for most residences in Mira Mesa, the median household income is over $82K per year compared to the State median of just over $61K and the San Diego average of just under $64K. 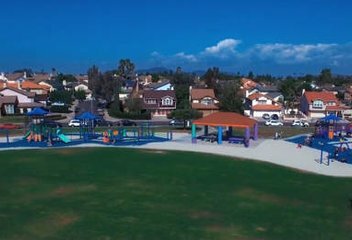 Sunset Glen is a Mira Mesa West View community located off of Westview Parkway with tennis court and playground. There is a small monthly HOA. The Sunset Glen HOA maintains the front yard. Mesa Cove has an HOA and is a collection of one hundred eighty six gated homes originally designed by Pardee Homes in 1994. When searching Mira Mesa condos for sale you will find condos & townhomes sell extremely fast in Mira Mesa with a days on market average of less than 25 days. Therefore when an opportunity arises a buyer must act decisively and make sure their financing is secured well in advance. There are a wide range of condos and townhomes for sale in Mira Mesa. Mira Mesa has a number of single story options, as well as two and even three story townhomes in nearby Sorrento Valley. Arbor Ridge is an eighty unit two story condominium development in the west side of Mira Mesa. The condos are single story with two bedrooms. The Arbor Ridge community has a pool and exercise room. HOA fees include water. Aura is a 30 unit gated townhome community located on Zapata Avenue and was built in 2016. The townhomes are three stories with four bedrooms, an attached garage, and private balcony. The townhomes were built with modern finishes and sleek architecture. Black Mountain Villas is a 34 unit townhome complex that was built in 1978. The townhomes are one to two stories with two bedrooms, enclosed yard, and a fireplace. Built in 1989, Canyon Bluffs is a one hundred seventy two unit three story complex located in Mira Mesa with community pool. Canyon Colony is a 72 unit townhome community that was built in 1985 and 1986. The townhomes are one to two stories with two to three bedrooms, attached garage, fireplace, private balcony, and patio. Community amenities include a pool and spa. Canyon Park Villas is a two story two hundred forty unit condominium complex located off of Calle Cristobal. The Canyon Park Villas complex has two swimming pools and spas with a greenbelt area. The Canyon Park Villas HOA cost includes water usage. Canyon Pointe is a 66 unit townhome community that was built in 1985 and 1986. The townhomes are two stories with two to three bedrooms, a private balcony, large private patio, fireplace, and attached garage. Some units offer amazing views of the Los Penasquitos Canyon Preserve. Casablanca is a gated townhome community in Mira Mesa. Each residence is two story with two car garage. The assigned elementary school is Hage Elementary School. Casa New Salem is an 88 unit two story condominium community that was built in 1984. The condos are single story with one to two bedrooms, a private balcony, and carports. Community amenities include a pool, spa, and barbecues. Colony Homes is a 172 unit twinhome complex that was built in 1979. The twinhomes are single story with two to three bedrooms, attached garage, carport, large private patio, and yard area. Concord Square is a two story townhome development off of Summerdale Road in Mira Mesa with community pool and exercise room. Concord Square is within walking distance to Von’s and Target Shopping Centers. Cortina is a townhome community that was built in 1994 and 1995. The townhomes are two stories with two to three bedrooms, an attached garage, fireplace, and private patio. Community amenities include a pool, spa, playground, and recreation area. Creekside Condos is a two hundred twenty four unit condominium community. There is a community pool, spa, and BBQ at Creekside. Built in 1982, Flair is a two story eighty eight unit condominium complex in Mira Mesa with community pool and spa. Gold Creek is a sixty four unit townhome community. Each townhome conveys with two assigned parking spots. Gold Creek has a community swimming pool. Heritage is a condominium complex that was built between 1987 and 1989. The condos are single story with one to two bedrooms, a private patio, and carports. Community amenities include greenbelts and a pool. High Ridge is a condominium complex that was completed in 1990. The condos are single story with one to two bedrooms, carports, balcony, storage, and a fireplace. Community amenities include a pool, spa, and greenbelts. Jade Coast is a two story condominium complex that was completed in 1990. The condos are single level with one to two bedrooms, carports, and covered patio. Community amenities include a fitness room, pool and spa. Las Casitas is a small condominium community that was completed in 1998. The condos are two stories with four bedrooms, an attached garage, fireplace, and backyard. Community amenities include a playground. Mariposa is condominium community that was completed in 1998. The condos are one to two stories with two to three bedrooms, an attached garage, patio area, and fireplace. Mesa Cove is a 10 unit condominium community that was completed in 1996. The condos are two stories with three bedrooms, an attached garage, backyard, patio, and fireplace. Mesa Village is a large condominium complex that was built in the 1970s. The condos are single story with two to four bedrooms, carports, fireplace, and large patio with storage. Community amenities include a pool, spa, clubhouse, and barbecues. Mirabella is a large condominium complex. The condos are single story with one to two bedrooms, underground parking, fireplace, and private balcony. Community amenities include a pool, spa, and recreation area. Monterey Village is a 19 unit townhome complex that was built in 1981. The townhomes are two stories with two bedrooms, a private patio, balcony, fireplace, and garage. Community amenities include a pool and spa. Playmor Quest is a 200 unit townhome complex that was built between 1974 and 1975. The townhomes are one to two stories with two to three bedrooms, fireplace, carports, private yard, and balcony. Community amenities include a pool and spa. Quail Creek is a two story two hundred twenty four condominium complex off of Black Mountain Road with a community pool. Sorrento Terrace is a 71 unit townhome complex that was built in 2013. The townhomes are two stories with the garage on the first floor and all living spaces on the second floor. The homes have two bedrooms with a private patio off the master bedroom. Community amenities include a pool, spa, picnic tables, and a playground area. Summit Ridge is a two hundred two story condominium complex in Mira Mesa. Summit Ridge units convey with one assigned covered carport spot. The community swimming pool is solar heated year around. There is also a jacuzzi, sauna, and gym. Tierra Mesa is a twinhome community with over 100 units and was built between 1991 and 1993. The twinhomes live like a detached home and are two stories with three to four bedrooms, an attached garage, backyard, and front yard. Some homes have views of the nearby canyon. Community amenities include a pool and spa. Valley Crest is a twinhome community that overlooks the nearby canyon preserve, has about 100 units and was built in 1977 and 1978. The twinhomes are one to two stories with two to four bedrooms, an attached garage, fireplace, and backyard. Community amenities include a pool, basketball court, and picnic areas. Villa Mar is a single story 84 unit condominium complex that was built in 1977 and 1978. The condos are two to three bedrooms with a private patio. Community amenities include carports, greenbelts, a pool, and spa. Villas at Capricorn is a 104 unit condominium complex that was built in 1986. The condos are single story with one to two bedrooms, storage, a private balcony, and assigned carports. Community amenities include a pool and spa. Villas at New Salem is a 104 unit condominium complex that was built in 1984 and 1985. The condos are single story and range from studios to two bedrooms with a balcony. Community amenities include a laundry room, carports, and a pool. Villas at Westmore is a 128 unit two story condominium complex that was built in 1983. The condos are single story and range from studios to two bedrooms. The condos have their own private balcony and fireplace. Community amenities include a pool. Waterridge is a 254 unit townhome complex that was completed in 2000. The townhomes are two stories with two to three bedrooms, an attached garage, outdoor patio, and fireplace. Community amenities include a pool, spa, and tennis courts. Windsor Park is a 64 unit condominium complex that was completed in 1980. The condos are are one to two stories with one to two bedrooms, a patio, and balcony. Community amenities include a pool and barbecues. In 2012 Redfin ranked the area as the 2nd most "popular up-and-coming neighborhood." So why is real estate so cheap in Mira Mesa? In short, it won't be for long! Prices are on the rise and you will need our expert help to find your place in Mira Mesa, San Diego. Search our properties and then give us a call at Aumann Bender & Associates for more information.